Shaken, not stirred: Who is your ideal leader? Who is your ideal leader? When you speak of Leaders, who first comes to your mind? Who do you think is an ideal leader? Or to put it in a better way, what qualities do you think an effective Leader should have in him / her? This is a debatable question with lots of different viewpoints. Some say a leader is one who leads by example, someone who inspires his/her team to follow in his/her footsteps by sheer dint of talent and ability. Other say that a true leader should inspire a mix of fear and devotion for himself / herself among his team mates, for only then he/she will be able to command and lead his/her team effectively. History is filled with leaders who have inspired thousands or even millions of people with their words or actions to achieve huge goals. These ‘leaders’ were not Gods or Goddesses possessing supernatural abilities. On the contrary, they were simple people who possessed a clear vision and by virtue of sheer diligence, charisma, perseverance and doggedness inspired millions to follow in their footsteps. Mahatma Gandhi was a simple man who chose to cover himself with the simplest of clothing. But it was this simplicity which was his greatest weapon. Armed with nothing but a mere walking stick, he soon gained the confidence and trust of the Indian masses and ultimately drove the British out of India. Adolf Hitler, on the other hand was an autocratic leader with extreme views. Even though he was a failure in academics, he was a fiery orator who mesmerized and inspired millions of Germans to take up arms. c) Toughness to remove any obstacles lying in between. d) Respect and admiration of their supporters and team members. Ok, so coming back to our question, what would you look for in a leader? For me, Steve Waugh and Saurav Ganguly are my idols when it comes to leadership. India is a cricket crazy country. All Indians are cricket fanatics and I am no exception. So I am sure many of you who follow cricket with the same passion as me will agree. Both persons have totally contrasting personalities. 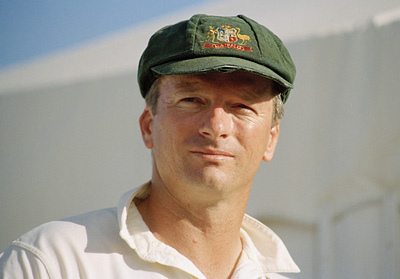 Steve Waugh has always been the quiet and introverted type and has often been criticised as someone who does not communicate well enough with his team mates. Saurav Ganguly, on the other hand has been labelled a touch too aggressive and outspoken by the media. Yet, the records of both men speak for themselves. Both persons have carved a niche’ for themselves in the cricketing world with their unique brand of leadership. Steve Waugh was nicknamed the 'Iceman' for his cool and emotionless demeanor on the field and his grace under tight and pressure-filled situations. When he took over captaincy of the Australian side in the late nineties, he had a difficult legacy to uphold. Previous captains Allan Border and Mark Taylor had left behind an enviable record. Maintaining the same winning form was a daunting task in itself. The media had dubbed him an introvert and criticized his silent attitude on and off the field, seriously doubting his leadership capabilities and his ability to communicate with his team mates. But Waugh soon put all those doubts to rest and under his leadership, Australian cricket reached dizzying heights and set standards of excellence so high that even current cricket teams find it near impossible to equal them, leave along surpass them. Under his leadership, Australia won a world record sixteen consecutive test matches (seventeen had it not been for VVS Laxman in Kolkata, 2001). Under his captaincy, Australia bounced back from near elimination in the 1999 cricket world cup and went on to win the tournament. Under him, Australia stamped their authority on world cricket for nearly a decade. By his uncompromising tactics, mental toughness and shrewd cricketing acumen, he forged an unbeatable team comparable to the legendary West Indian team of the seventies led by Clive Lloyd. Waugh was a brilliant tactician and a ruthless adversary, who would not hesitate to use unorthodox tactics and strategies to eliminate the opposition, even though sometimes this caused him to come under some sharp criticism by the media. He never took his place in the side for granted and always came out fighting. He inspired his team mates by instilling a sense of natural pride for their country and their game. When he retired in early 2004, he left behind a legacy which is still spoken about in high regard in today’s cricketing circles. What made Waugh stand out from the rest was his mental toughness and his never say die attitude. Personally, he was not endowed with the brilliance of Tendulkar nor the genius of Lara. But what he did have was the tenacity to keep going even under the most hopeless situation and the guts to follow his heart. In all senses, Steve Waugh was the true leader. 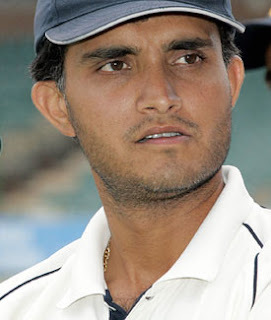 When I think of Saurav Ganguly, there is one particular image which crops up to my mind. India had just defeated England after a thrilling run chase at the finals of the Natwest trophy in 2002. Saurav Ganguly defied all traditions and conditions and did what no Indian had earlier dared to do at Lords. He tore off his T-shirt and waved it furiously, aping Andrew Flintoff's similar behavior back in India. That one scene sums up Saurav's attitude in a nutshell. When Saurav Ganguly(Dada as he was affectionately called by his team-mates) took over as Captain in 2000, Indian Cricket was having more than it's fair share of problems. Sachin Tendulkar had resigned as skipper citing Injury problems and poor form. The Indian team was going through a dip in fortunes, having lost recent test series and one day matches. The media was having a field day criticizing the team’s poor performances. India always had a good record at home, but could not emulate the same success overseas due to various reasons some of them being lack of exposure to bowler friendly pitches usually found abroad, over emphasis on batting and low mental strength of the team in general to name a few. Morale was at an all-time low and the faith of the Indian public in their cricketing idols was waning. But Saurav changed the mind-set of the team with his aggressive and no nonsense attitude. Under his captaincy, the team regained faith in itself and went on to conquer hurdle after hurdle. India went on to win test series in England, West Indies and Pakistan (the latter coming after a gap of more than a decade) and drew a test series in Australia, which was easily the best test playing team at that point of time. India’s performance also improved in ODI’s. Under Saurav’s stewardship, India won many major ODI tournaments. The most significant achievement for Saurav was leading India to the finals of the 2003 cricket world cup after a superb run in the qualifying rounds. Even though they were outplayed by Australia in the finals, they won the hearts of cricketing fans with their superb all round performance. Saurav changed the traditional Indian defensive mind-set with his aggressive attitude. He promoted new talent but at the same time supported the seniors in his team. He always backed himself and his decisions under extreme pressure which ultimately paid dividends. His decision to promote VVS Laxman to the number three slot in the 2001 Eden Gardens test match proved to be crucial as it stopped the Aussies winning streak. India went on to win the test match and the test series. Even though the latter half of Saurav's cricketing days were dotted with various controversies including match-fixing allegations and disputes with coach Greg Chappell, no-one can take the credit away from a glittering career and extra-ordinary leadership abilities that put India back firmly on the world cricketing map and helped in regaining the confidence of the Indian cricket fans. With his gifted cricketing brain and his all-conquering attitude, Saurav Ganguly will always be one of India’s greatest cricketing captains and a leader in every sense.